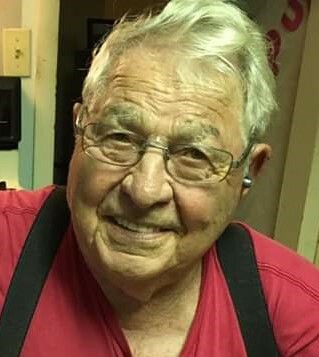 Obituary for Joseph A. Bounds | McClellan-Gariepy Funeral Home, Inc.
Cambridge-Joseph A. Bounds, 83, of Cambridge, passed away Saturday, March 23, 2019 at Glens Falls Hospital. Born in White Creek May 22, 1935, he was the son of the late Joseph and Eliza (Baldwin) Bounds. 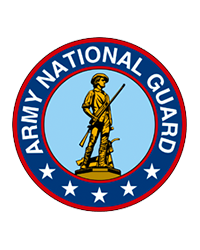 Joe had served in the U.S. Army National Guard and worked for the NYS DOT in the early 1960’s. He also was a machinist at Collamer’s Paint Brush Co. Joe then worked at Peabody & Bates, Inc. as a masonry foreman. He poured many foundations in Washington, Rensselaer, Saratoga counties and beyond. He retired in 2003. The family road trips often took “shortcuts” passing many of his works which he was very proud of. Joe and Joan were the ultimate family people. Weekends, holidays and special occasions filled their home with their children, grandchildren, great grandchildren and nieces & nephews. Joe spent many hours with his grandchildren and great grandchildren and his faithful dog, Lady. He loved being outdoors hunting, fishing, gardening and relaxing by the camp fire. He looked forward to the Washington County Fair, especially the tractor pulls. He attended many of his grandchildren and great grandchildren’s sporting events. He championed them through all of their pursuits. Joe loved to tease family members about their non-Ford purchases. He taught family lessons through hard work, love and storytelling. In addition to his parents, he was predeceased by his wife of 64 years, Joan Wadsworth Bounds, his high school sweetheart who he married on Christmas Day in 1954. She passed away February 14, 2018. Joseph is survived by his children, Julie (Wayne) Laverty of Cambridge, Justin (Patty) Bounds of Hoosick Falls, Jo (John) Shewell of Glens Falls, Joseph (Cara) Bounds of Londonderry, NH, Joan (Steven) Moffitt of Salem and Jeffrey (Veronica) Bounds of Argyle. He is also survived by his sisters, Catherine Ackley of Cambridge, Della Wadsworth of Salem and Pat Ormsbee of Walloomsac; 15 grandchildren, 8 great grandchildren and many nieces and nephews survive. A graveside will be at 10 am Tuesday, March 26, 2019 at Woodlands Cemetery in Cambridge with Pastor Carol Finke officiating.